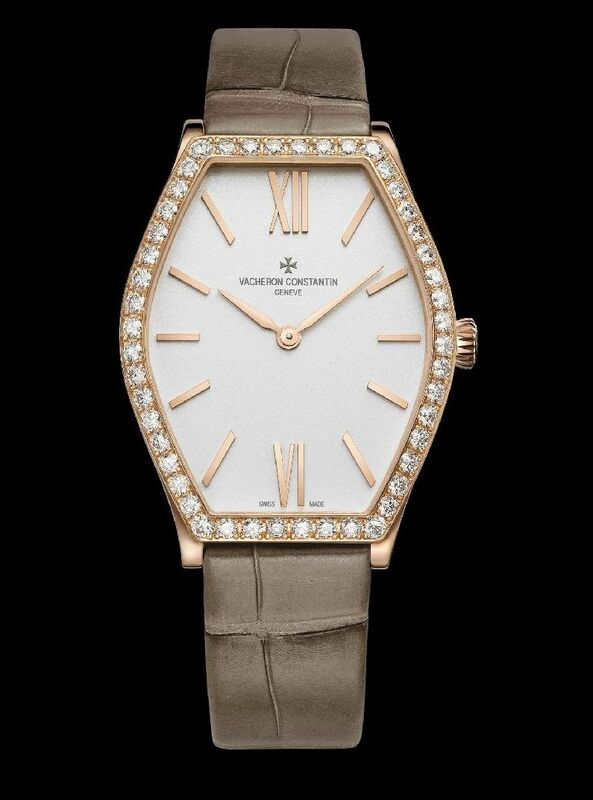 With the Malte Lady, Vacheron Constantin pays tribute to all those with a preference for diminutively sized watches, who are thus treated to the Malte Lady featuring a curving 28.3 x 38.7 mm pink gold case housing a quartz movement, Calibre 1202. Hour-markers along with Roman numerals for the 6 and 12 o’clock indications elegantly accentuate the diamond setting around the bezel, creating a striking contrast between horological classicism and a jewellery sparkle. This elegant and refined gemset watch comes with two strap versions in Mississippiensis alligator leather or satin.